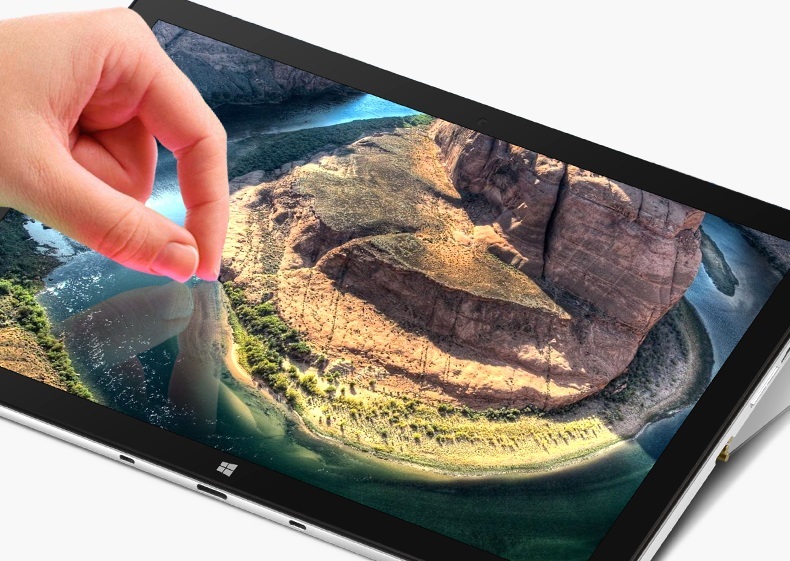 The VOYO VBOOK i7 Plus is not the cheapest surface clone. However, compared to the previous clones of Jumper or CHUWI, newer and faster hardware was installed here. Can VOYO be a true competitor for Windows themselves? If you compare the VOYO VBOOK i7 Plus with the current CHUWI SurBook or the JUMPER EZpad 6 Pro, the VOYO Surface clone is significantly more expensive at a price of about $700. This is mainly due to the more powerful hardware. For example, while CHUWI and Jumper use cheaper 64GB eMMC memory, VOYO uses either a 128 GB or a 256 GB M.2 SSD, which enables faster reading and writing speeds on the one hand and offers up to four times the storage capacity on the other. The main memory is also significantly larger with 8GB DDR4 RAM, which can also be expanded up to 16GB. The Intel i7 7500U @ 2.7 – 3.5 GHz processor used is already slightly dusty, but has only been on the market since mid-2016. Among other things, the fast dual core notebook processor can also be found in the Xiaomi Mi Notebook Air 13.3 from 2017. The powerful processor also offers a better graphics chip with the Intel HD Graphics 620. Although these on-board graphics chipsets are not really comparable with a real graphics card, they should be absolutely fine for smaller games and smooth playback of Full HD content. The 3K IPS Display, which has a resolution of 2880 x 1920 pixels, has a size of 12.6 inches. Meanwhile, other models like the Xiaomi Mi notebook only support a FULL HD resolution. It remains to be seen how good the IPS panel actually is. If you are missing further connections, you have the possibility to use a HUB with further connections via the USB-C port. The keyboard of the VOYO VBOOK i7 Plus, which simultaneously displays the screen cover for the 12.6-inch display, is a full QWERTY keyboard with touchpad. The stylus pen available for the VBOOK i7 supports 2048 pressure levels, twice as many as the CHUWI SurBook. The technical data of the surface clone sound very good in my opinion. The surface clone is technically relatively up-to-date and significantly more powerful than the competition from CHUWI or Jumper. Even the CHUWI CoreBook is not that good equipped. It remains to be seen how well VOYO succeeds in cooling the Intel i7 7500U, with an apparently closed housing. If this is defective, the entire system slows down unnecessarily. The quality of workmanship of the aluminium housing also plays a role for me, which cannot yet be estimated. 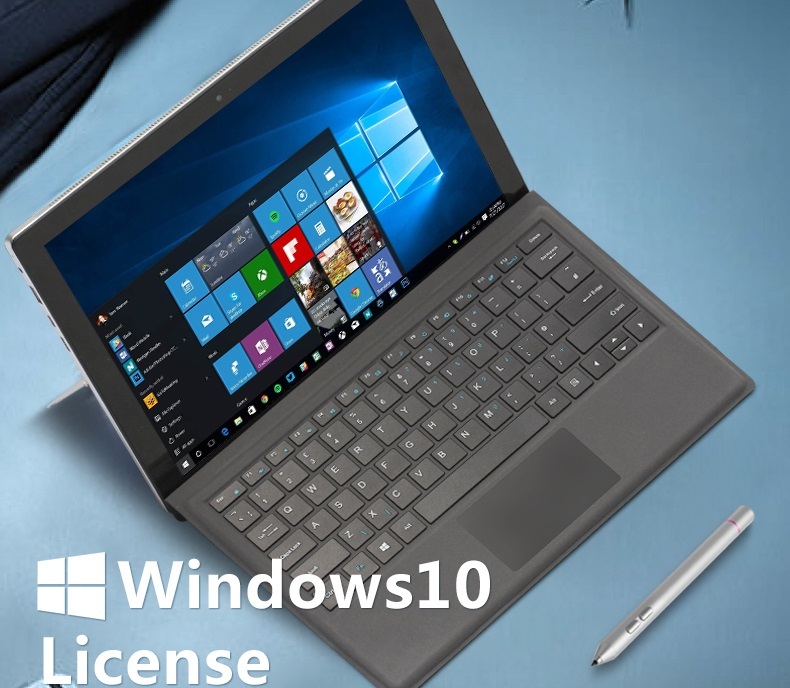 However, if the points mentioned above have been solved, the VOYO VBOOK i7 is a powerful alternative to previous surface clones at an acceptable price.